I felt like playing with circles this week, and after the suggestions for what last week’s map might have been, I was in the mood to draw some governmental buildings. The Hive is the headquarters of government’s internal intelligence agency, home to The Workers and their Queen. Not much is known about the goings-on here, and few people have seen the inner chambers and emerged to tell of what they contain. I’d also like to take a second to let you know that my first collaboration with PB Publishing is out now for $4.95. 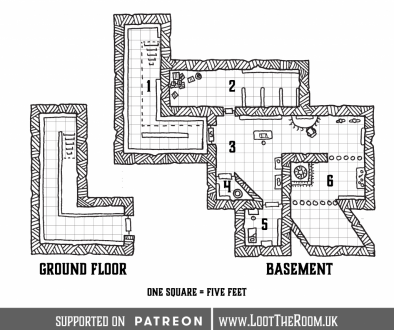 Mini-Dungeons #1: Caves is a set of 3 mini-dungeons based around – you guessed it – caves that can act as one-shot side quests or a longer campaign arc that you can drop easily into your game. I had a ton of fun working on this project with Phil and I’m pleased to see people enjoying them. 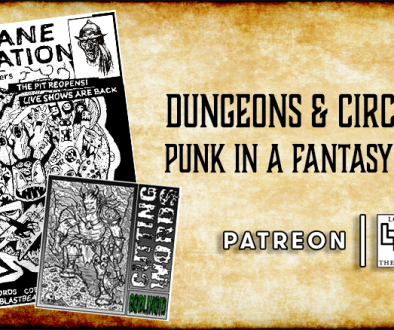 This is set to be the first in a series of themed mini-dungeons, and I’m really excited to finally be able to reveal what we’ve been working on. I hope you’ll take a minute to check it out!